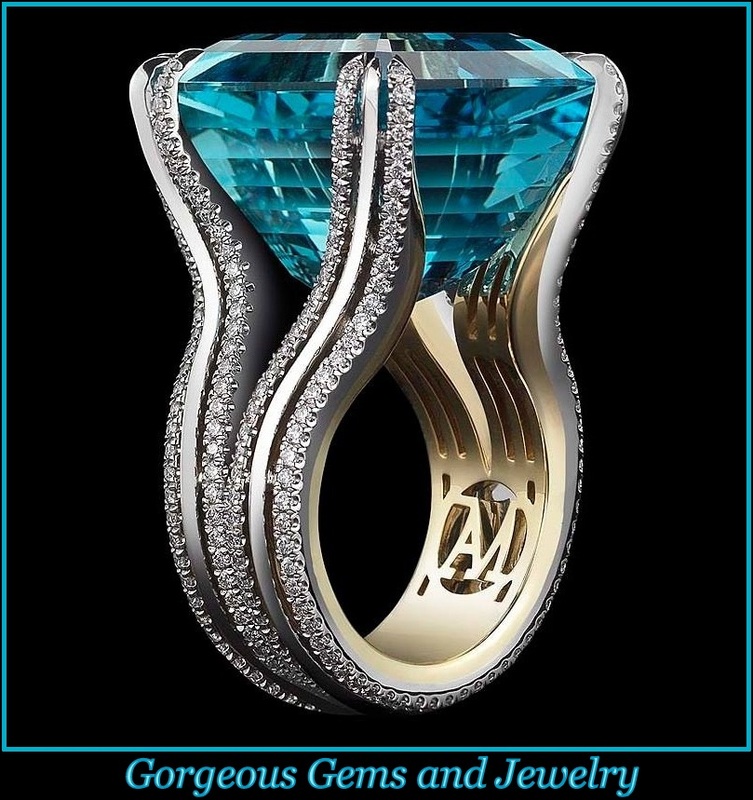 Exquisite Gemstone Diamond Rings. 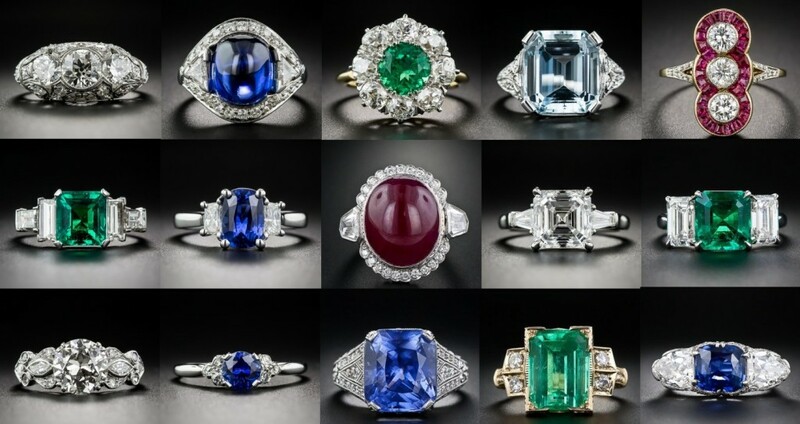 These gorgeous gemstone diamond rings are stunning vintage estate jewelry pieces. One of a kind jewelry masterpieces. Many of the most exquisite pieces of estate and vintage jewelry have ended up under the roof of Lang Antique & Estate Jewelry. You will find a huge selection of all types of jewelry here including diamond and gemstone rings, earrings, necklaces, bracelets, and brooch and pins. They carry a wide selection of both women and men jewelry lines. Whether you looking for a gorgeous cocktail ring for that extravagant evening you have planned, or to allure your wondrous bride to be with some of the most gorgeous estate and vintage engagement rings your eyes will ever see. We have included below some of the gorgeous pieces of jewelry to view in awe and wonder. 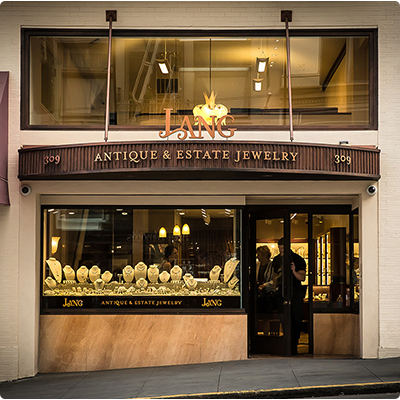 Since 1969 when Lang Antiques was first founded by Mrs. Jarmilla Lang, Lang Antique & Estate Jewelry has become a landmark in San Francisco’s fashionable Union Square shopping district. Lang Antiques display cases and website overflow with the largest collection of fine vintage jewels to be found under one roof. 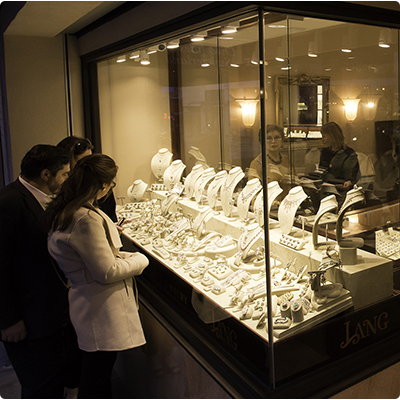 Lang Antiques are experienced and passionate buyers and sellers of beautiful jewelry. 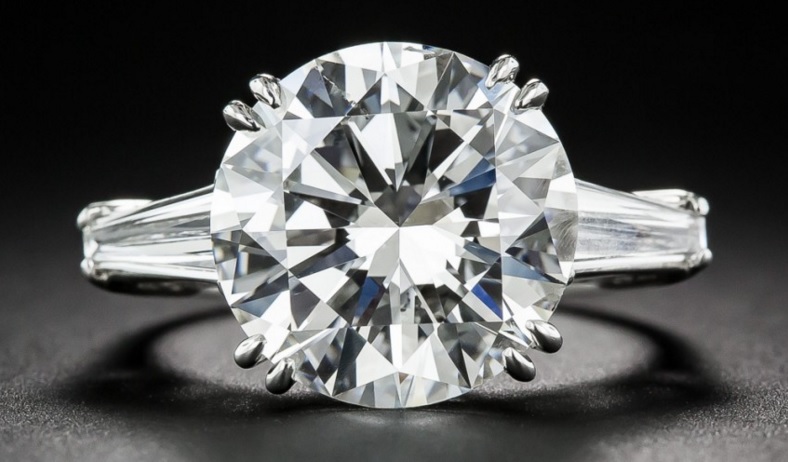 Whether you come in person or shop with Lang Antiques online, their friendly and helpful staff of gemologists, appraisers and vintage jewelry experts will be more than happy to assist you. Lang Antiques dedication to preserving treasures of the past ensures that they live on, so that you may wear a little piece of history while creating your own. A bright white, sizzling and sizable modern round brilliant-cut diamond, weighing 7.55 carats, bearing a GIA Diamond Grading Report stating: I color – SI1 clarity, beams like a headlight, night and day, in this sensational, striking and impressive ultra-sparkler, classically presented in platinum between a long sleek pair of tapered baguette diamonds (totaling an additional half-carat). The diamond is securely set in split prongs and as an added touch the side gallery is adorned with open scroll motifs. Although I color is nothing to sneeze at, this fabulous stone faces up absolutely colorless, ice white. 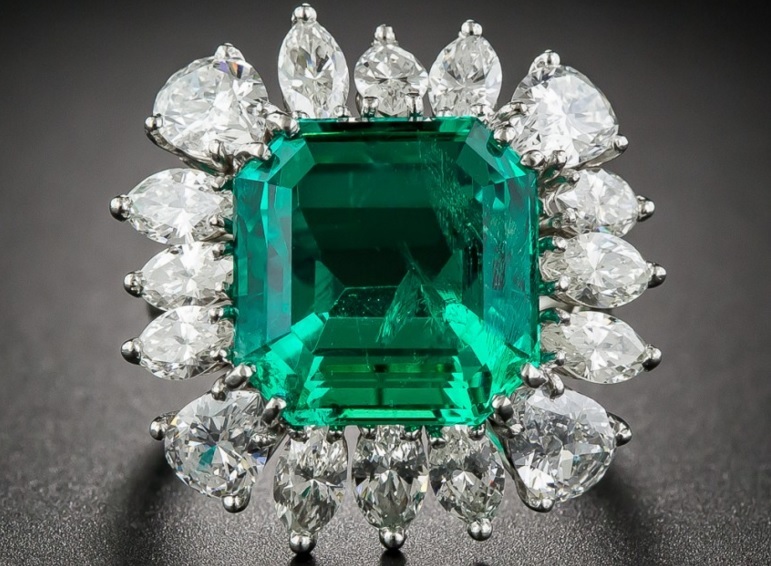 A big, bold and beautiful, square emerald-cut Colombian Emerald, with a bright, richly saturated, luscious, crystalline green color – weighing 9.06 carats – radiates from within a sparkling platinum and diamond frame composed of bright-white marquise and pear shape diamonds – together weighing 4.00 carats. 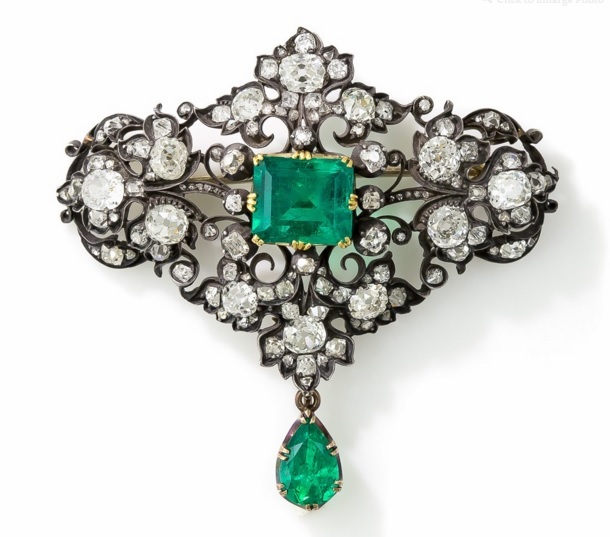 This dynamic and impressive jewel measures 1 inch across on the diagonal and is accompanied by an AGL (American Gemological Laboratory) report stating: “Insignificant to Minor Enhancement (a highly desirable rarity), Colombia”. 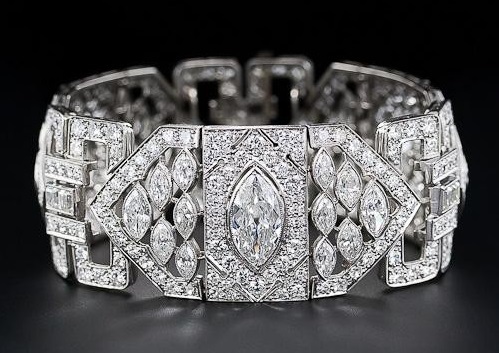 A bright-white and gorgeous 2.40 carat antique marquise diamond, with the outline of a modern-cut 4.00 carat marquise, is the center of attention of this opulent and sensational, one inch-plus wide bracelet from the peak of the Art Deco period – circa 1925. Three main plaques, connected by three geometric ‘slave links’ sizzle with an artful array of twelve marquise diamonds and closely pave-set European-cut diamonds which frame the central marquise diamond. The slave links each boast a shimmering pair of deep square-cut diamonds in the center. 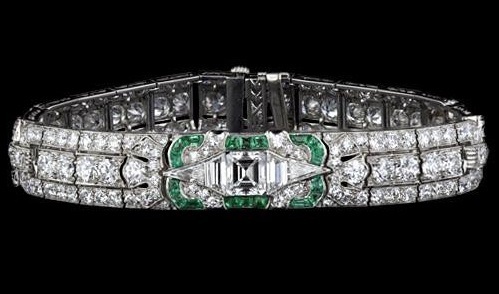 An impressive, exemplary and truly stunning Art Deco adornment. 7-plus inches long; 26 carats total diamond weight. They don’t come much finer than this streamline sparkler from peak of the Art Deco period – circa 1925. 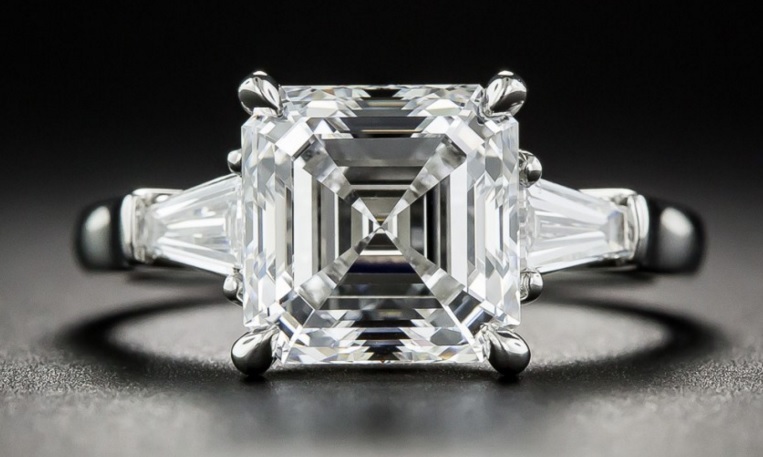 Three rows (and 15.00 carats) of bright white, tightly packed diamonds lead up to the gorgeous center section which features a fine 1.00 ct. Asscher-cut diamond flanked on both sides by a trapezoid and slender triangle diamond. This striking diamond design is embellished with a frame of bright green, crystalline calibre emeralds. A delight to behold – a dream to own and wear! 16.00 carats total. 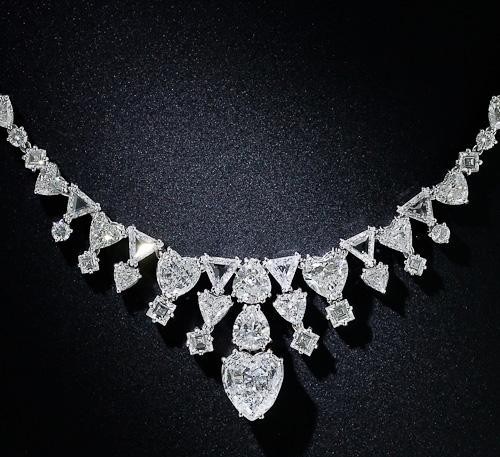 30 carats of Cupid’s favorite diamond cuts join forces to form this divinely glamorous, one-of-a-kind platinum necklace evoking the screen goddess style of Grace Kelly and Elizabeth Taylor. Starring a gorgeous F color 2.75 carat heart-shaped diamond center stage, with dazzling ice-white diamond hearts, triangles, rounds and squares artfully arranged in hand-fabricated platinum settings to encircle the neck and nestle enticingly at the base of the throat. A thoroughly stunning jewel, for a petite neckline (but lengthening is possible). Measures 14 1/2 inches long, 1 1/8 inches at widest point. 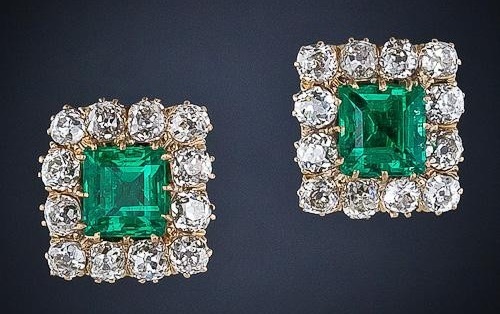 A pair of vivid crystalline green (gem color) old-mine Colombian emeralds weighing just under 4.00 carats total weight (2.04 and 1.79 carats, respectively) radiate from the centers of sparkling diamond frames in these classic Victorian earrings, circa 1890. The 18K gold frames contain 4.00 carats of quality old mine-cut diamonds.